Battersea builders waste disposal service offered by Rubbish Removal Battersea does exactly what it says. We will do it and for a great low price. When you have building work done, it can be a delight and make such a difference to any property, the immediate problem however is clearing away debris and rubbish left by builders. Our builders waste collection service is available in SW11 area. We immediately solve that problem by giving you a workforce who are fully trained in doing a professional job when it comes to clearing away all kinds of waste and rubbish that comes after building work has been done. This builders waste clearance service has proved to be essential for so many of our previous clients and so many have remarked to us just how wonderful the change is once our employees have done their work. The benefits of hiring our clearance company is that we have an experience and expertise that makes sure a better job is done and one you'll be highly delighted with. Building work done in Battersea SW8 district without builders waste removal is work that's only half finished. We are the finishing touch that gives you the opportunity to truly appreciate the building work done without having to worry about the mess left behind. If you would like to find out more about this service and what else we can offer you, then can call us on 020 8610 9064 today. One of the main advantages of hiring the builders waste removal service offered by our company is that you have no need for a skip. This immediately eliminates so many problems and time-consuming hassle for you. This includes having to contact the council about skip hire which is obligatory under the law. In contrast, all you have to do when hiring us is contact us via phone or online and we can arrange a time and date for our expert staff to arrive at any location and clear away the builders waste. It's simple, fast and efficient. It gives you everything you want in the quickest time possible and makes sure you can truly appreciate any refurbishment work done or other building work carried out just as it should be. We are a professional company that is fully licensed for waste removal and takes all rubbish collected to a licensed refuse site. 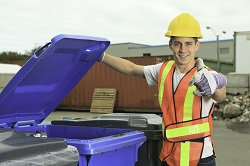 It's another worry you do not need to have when you hire our builders waste collection in SW11. Rubble, bricks, tools, materials… Everything is cleared away professionally and to an impeccable standard. It really is money well spent when you spend it on our builders waste disposal. Even better, the fact our prices are so low means you don't have to spend an excessive amount of money in the first place to have that the rubbish cleared away. Since we are a more efficient company than elsewhere in Battersea, you save money you don't need to spend and we get the job done for a lower price. Our fully trained workforce are dedicated in giving you complete satisfaction. We are a company that offers many different services such as house clearance, junk clearance and rubbish removal. 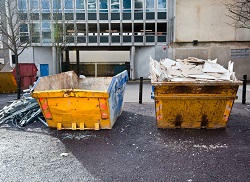 Each one of these in itself can be helpful to you and our experience in carrying out all types of junk removal counts towards our builders clearance service being the one you really want to hire within the SW8 area. Rubbish Removal Battersea is ready and waiting to carry out the work you want done. So even if the building work isn't done yet, make sure you're prepared for the aftermath by calling us now. The sooner you get in touch with our company, the sooner you know that any place will be looking at its superb best thanks to our builders waste disposal service. You can either fill out the online form 24/7 for more information or if you'd like to talk to one of our helpful Battersea builders waste disposal advisors you can do so by calling 020 8610 9064 now.